Are you waiting on any historical fiction this week? This book sounds amazing! I can't wait to read it either! YES! I just requested this from Edelweiss last week and I've got my fingers crossed. I've not heard of this book! What a fun premise, I might have to check this one out! I'm not sure if you like this time period because it's a little earlier that the 1910/20's, but if you like Downton Abbey i heard of a book that's releasing soon taking place in the Pride and Prejudice households but in the point of view of the 'downstairs' and the scandals that were supposedly happening at the time. 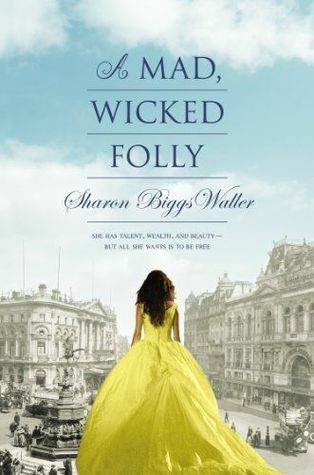 It looks like a really fun novel, especially for fans of P&P or TV shows like Downton Abbey! Anyways, great WoW pick! I'm excited for this one, too. Like you I don't read a lot of historical novels, but I'll pick one up every once in awhile if it sounds interesting. And I'm loving the yellow dress. Great pick! So excited for this one-I requested it on Edelweiss and am so hopeful of getting to read it. I just think the cover is gorgeous and the premise absolutely enthralling!